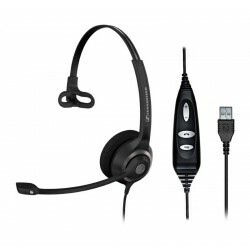 This USB headset works with Sennheiser's trademark sound; the mono, SC 30 USB ML plugs into PCs, softphones, Skype and video conferencing and voice recognition/dictation programs and may be used over both ears. Maximized for Microsoft "Lync & Skype for Business," the SC 30 allows you to plug in while Lync & Skype for Business is turned on. The software acknowledges the device’s speaker and microphone rather than just the headset, allowing improved sound quality. The SC 30 ML's built-in controls enable you to answer or decline calls, manage volume or silence the microphone. Redialling the last outbound call also is a touch of a button away. Exactly, why purchase the SC 30? * Sennheiser's high-end expert audio. 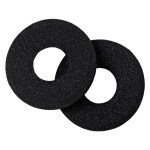 * It’s budget-friendly and has super-soft sizable acoustic foam ear cups. * Wideband microphone for softphone use. * Activeguard technology safeguarding from unexpected loud noises. * Popular alternatives for call centres shifting to UC environments. The SC 30 USB CTRL does feature foam ear cushions, but some folks favour leatherette. Users are also connected to their computers via cable; this can be annoying when wires obstruct work or get twisted under chair wheels. Great question, let's take a look! The Sennheiser SC 30 USB CTRL is an impressive budget approach for brand-name sound. It's durable, light and slim and ideal for call centres and offices that demand a USB link for inbound calls and volume control. 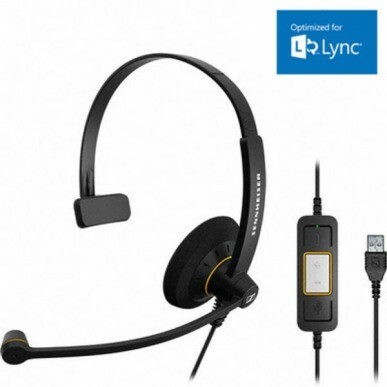 * Microsoft Lync & Skype for Business Functional: the SC 230 USB or the SC 230 USB CTRL with Dragon voice recognition. 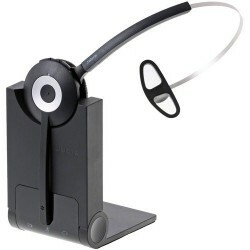 * Super-tight budgets: Plantronics Blackwire C510-M and C310-M.
SC 30 USB ML is a deployment-friendly, single-sided wideband headset optimised for Microsoft Lync. With integrated call control unit and USB connector, the SC 30 USB ML offers great functionality and convenience when connected to Microsoft Lync. 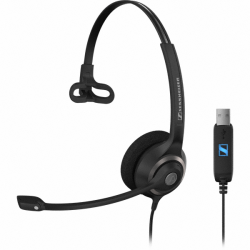 SC 30 USB ML is specifically designed for the Unified Communications market, where Sennheiser HD voice clarity and maximum call-handling flexibility can make a genuine difference to productivity.